with little care taken into crafting a well developed story or cinematic experiences. of RPGs while PC gaming offered a vast bouquet of adventure games and its own take on role-playing. Mario, Sonic The Hedgehog, Street Fighter 2 and other faster paced classics. it was eventually jointly-shared by Squaresoft, Konami and other Japanese developers during the 32-bit era. series consisting of 5 games and a recent online spin-off. 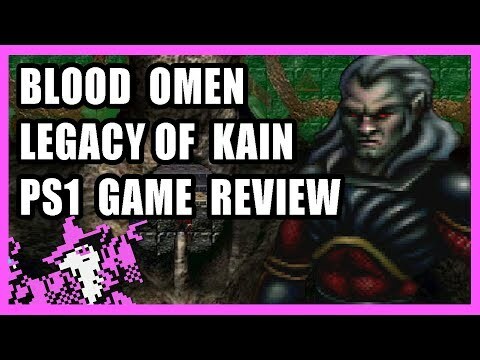 Omen, often being a prime reason as to why both this game and series are so fondly remembered. Unfortunately, the narrative flow in Blood Omen often seems confused and direction-less. coherent, overarching series of events tying them together. appears out of nowhere for the sole purpose of adding in a boss fight. result, characters weren't as fleshed out as they could have been. explore which give you of new magical abilities, items and ammo. And I have to say, I really love the freeflow form that you'll find when solving puzzles. little useful information so I just simply ignored them. and Icewind Dale, but maaan I just find this graphical style so unappealing. serious slowdown issues when the camera is zoomed out. and quality voice acting which places its production values well above the 16-bit generation. surpassed by now, it's still an intriguing game to play. Notification bell Icon to know when a new video is out. Anyway, I hope you have a great day, bye!